Its time to defend our title! 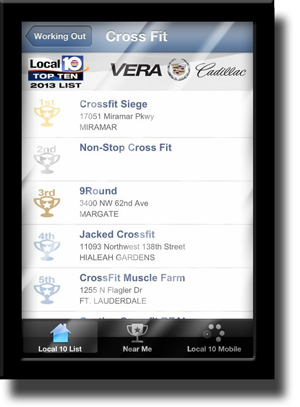 Let’s win back-to-back titles for Channel 10’s “Best CrossFit Gym in South Florida”. Thanks to you, we were the champs in 2013 and now we need everyone to vote for Siege and help us reign supreme. Click on the link or picture to vote daily. Don’t forget to share this announcement. Individuals may cast up to one (1) vote per day of the open voting period. Voting resets every night at 12:00 AM EST.